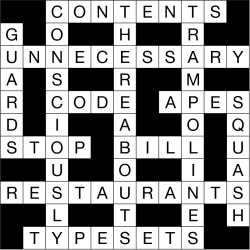 Crosswords are the perennial word puzzle. 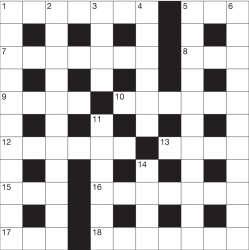 Invented in the 1910s they gained immediate success in the US, before finally spreading to the UK and continuing their eventual conquest of much of the world. 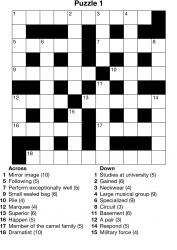 We can make crosswords of any shape, size and complexity. 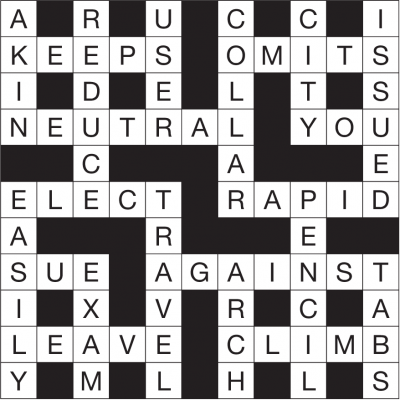 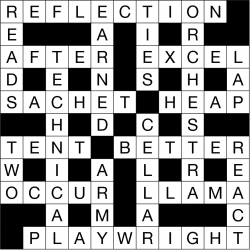 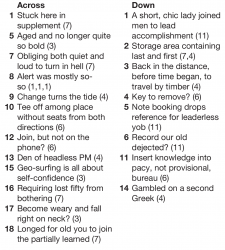 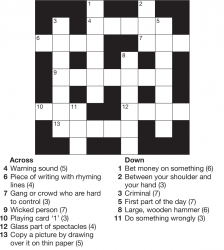 We can create anything from a fully typeset book of over 100 cryptic crosswords (for example The Little Book of Cryptic Crosswords from Michael O'Mara), which we delivered in under a month, to individual themed crosswords.